All of the ride times for the Lauren Sprieser clinic in April are currently filled, but if you are interested in being put on a standby list in case someone cannot make it, please just let me know. 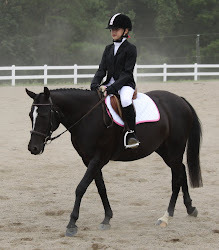 We, of course, welcome all dressage enthusiasts to come audit and spend a fun day at the farm with Lauren. Auditing information is on the Clinic page as well. For those riding, a 50% deposit to hold your spot is due March 1st. Thanks, everyone!